Application Versatility and Consistent Championship Performance – That’s What You Can Expect From Binks Trophy Series Equipment. Whatever the size job or part you’re finishing – whatever material you’re spraying – Binks Trophy Series spray guns provide the technology and confidence needed for most jobs and coatings. 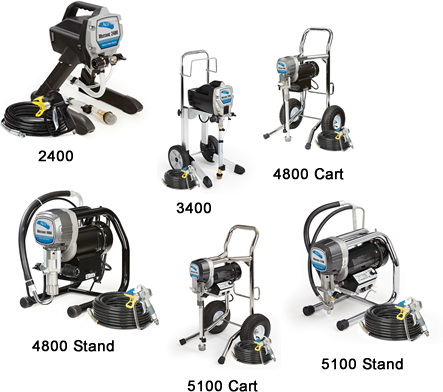 The Mustang Series of Airless Paint Sprayers Provides Proven Performance At A Great Price Point! ALLPRO brand sprayers are proven to be dependable, reliable and fail-safe for homeowners, painting professionals or do-it-yourself users. Call us at 780-452-8201 to determine which ALLPRO Brand Sprayer is best suited for your needs!